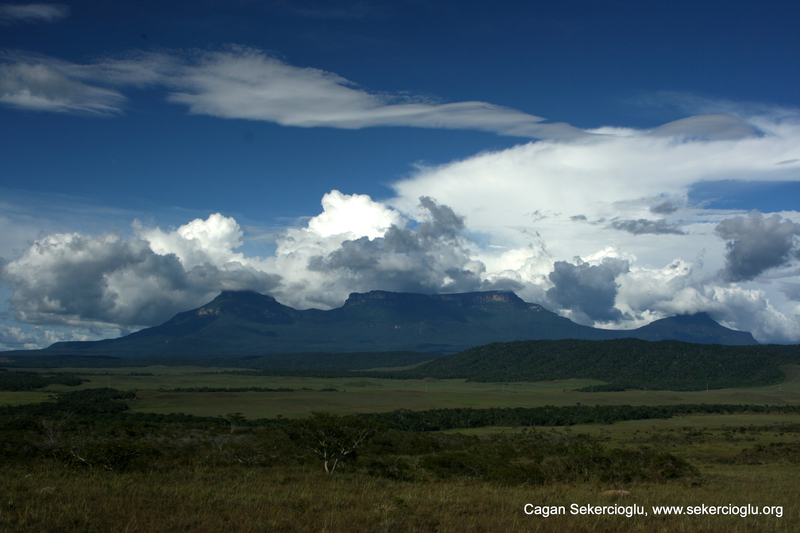 Mountaintops, like the tepuis of Venezuela, are refuges for species adapted to cooler conditions than their surrounds. Image © Cagan Sekercioglu. Climate relicts offer valuable insights for conservation under global warming, New York Times science journalist Carl Zimmer writes in Yale’s Environment360 blog. On the one hand, these holdouts from former climates on mountains, cliffs, canyons and bogs could face more hostile conditions in a warming world. On the other, they may provide valuable clues as to how other species could adapt and evolve under more unforgiving climate conditions.